In colonial Egypt, the state introduced legal reforms that claimed to liberate Egyptians from the inhumanity of pre-colonial rule and elevate them to the status of human beings. These legal reforms intersected with a new historical consciousness that distinguished freedom from force and the human from the pre-human, endowing modern law with the power to accomplish but never truly secure this transition. 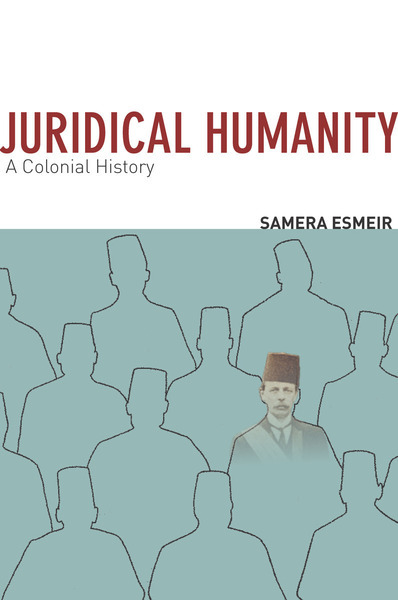 Samera Esmeir offers a historical and theoretical account of the colonizing operations of modern law in Egypt. Investigating the law, both on the books and in practice, she underscores the centrality of the “human” to Egyptian legal and colonial history and argues that the production of “juridical humanity” was a constitutive force of colonial rule and subjugation. This original contribution queries long-held assumptions about the entanglement of law, humanity, violence, and nature, and thereby develops a new reading of the history of colonialism.